The Hope Foundation would like to thank everyone that made our London Lunch such a resounding success! Thank you to everyone that made generous donations to our auction, raffle and gift bags. We wish to especially thank Don O’ Sullivan of Galliard Homes, whose very generous sponsorship of the event means that all of the money raised including ticket, auction and raffle sales, will go directly towards our projects in Kolkata. Thank you Don, this means so much to the work of HOPE. 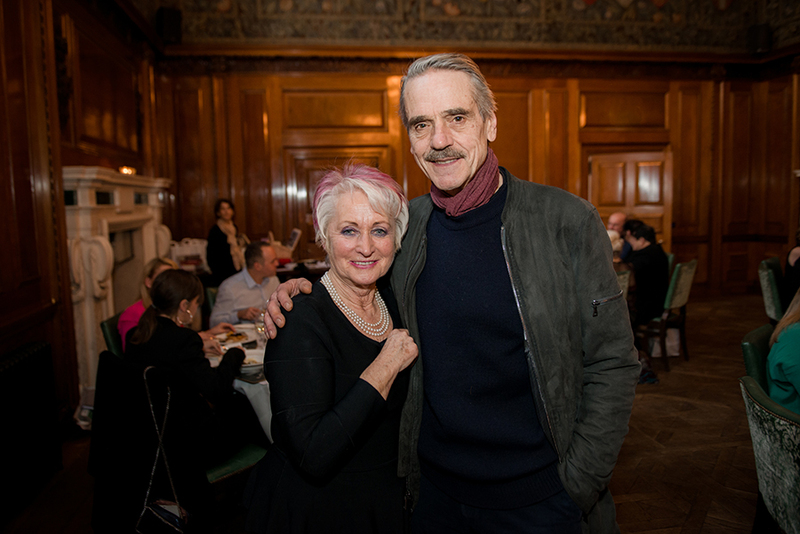 We would also particularly like to thank HOPE Patron Jeremy Irons for his long time and ongoing support to HOPE, and for taking the time out to attend the lunch. To Mairead Sorensen of Butlers Chocolates, thank you for your continued expert advice and assistance, it is invaluable. A big thank you also to Sean Collins of Trinity Corporate for his great help in making the lunch happen. Similarly, to Conor Foley and Ailbhe Mullen and all at the Irish International Business Network (IIBN) and our newest HOPE Ambassador, Nadia Forde, we are very grateful for your support. A special thanks to Sean Buckley for his amazing auctioneering skills in maximising the amount raised at the lunch auctions. Thanks to photographer Alistair Jones for volunteering his photography skills on the day and also to photographer Mark Seymour. And last but not least, thank you to Christopher Biggins, a great Ambassador for HOPE. A SINCERE THANKS TO YOU ALL – every single one of you are making a real difference to the lives of the street and slum children, who are benefiting from HOPE’s work in Kolkata.